We are no longer offering a bounty on the Lionfish, but everyone should still be informed about the invasiveness of this fish. 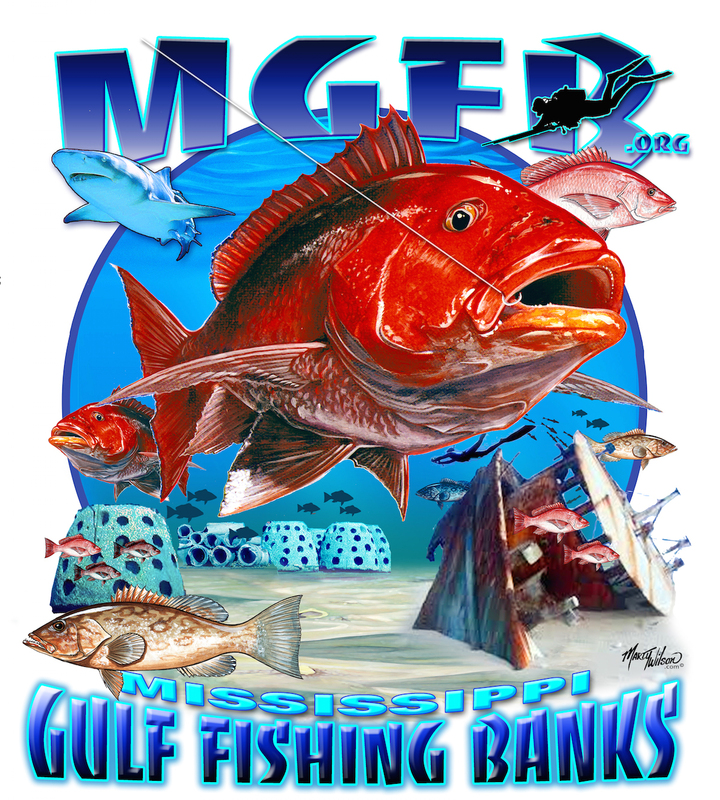 Mississippi Gulf Fishing Banks Inc. is a non-profit organization dedicated to the development and monitoring of artificial reefs off the coast of Mississippi. The primary goal of Mississippi Gulf Fishing Banks Inc. is to improve diving and fishing in these local waters. However, there is now a biological problem that our reefs are faced with that could prove to seriously impact these delicate reef ecosystems. This threat has been rapidly invading the waters of the United States for more than 20 years but it has just recently found its way into the Gulf of Mexico. This threat is the lionfish. The lionfish invasion has been relatively rapid as a result of several factors. Since they are not native to this region, predatory marine animals have been slow to identify lionfish as a potential food source. In fact, there have only been few reports of groupers and sharks eating lionfish, so it’s possible that once they reach a certain size they are free of predators. This potential lack of predators could account for the fearless behavior lionfish exhibit when approached by divers, even after a failed attempt at spearing one. The enormous appetite and fast growth rate of lionfish are also attributed to why they’ve been so successful here. Within their first year lionfish become sexually mature and can grow to 10 inches. They are also able to consume large quantities of prey; their stomach can expand 30 times its original size and they can consume prey more than half their total size. Their growth rate and stomach expansion is much greater than native species, allowing lionfish to dominate the local ecosystem. Probably the biggest reason for their rapid expansion into this region is that, unlike other species like snapper, grouper, and jacks that only spawn a few months out of the year, lionfish spawn year-round. Having the ability to spawn multiple times a month, a single female can produce more than two million eggs a year. Then over the course of a month, lionfish larvae are transported large distances by the oceans currents where they settle to the bottom and establish themselves in reef communities. Lionfish are rarely seen by fishers, but if you have dived off the coast of Louisiana at any of the many platforms, odds are that you seen a lionfish. As a matter of fact, most divers east of the Mississippi River diving on anything from natural reefs to shipwrecks have probably encountered at least one, if not many of these pests. Unfortunately, almost nothing is known about the potential impacts this invasive species could have on the ecology of indigenous organisms within the Gulf of Mexico. Experience with other terrestrial and aquatic invasive species suggests that the impact may be disastrous on the indigenous fish populations. With the cooperative help of the Mississippi Gulf Fishing Banks Inc. and other fishing and diving communities throughout the northern Gulf of Mexico the hope is to collect as many lionfish as possible for scientific study. Starting immediately there will be a $5 bounty for EACH lionfish killed, collected, and turned in from Gulf of Mexico waters west of Mobile Bay, Alabama. We would also like sightings reported if seen not killed, but there is no bounty reward for that. © 2019 Mississippi Gulf Fishing Banks, Inc. All rights Reserved. Website by CSR Web Consulting.